Pavo Salon is about to debut its new “cutting-edge” Midtown location. 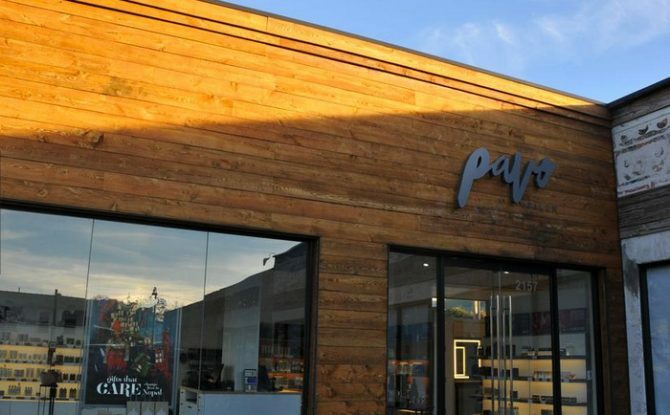 An Aveda Lifestyle Salon, Pavo will be housed at 2157 Central Ave. — in the same shopping strip as Urban Outfitters — and will open its doors Nov. 17. Robinson and Shawn McGhee founded Pavo in 2000. Their first location was in the Laurelwood Shopping Center. The new 2,400-square-foot Midtown salon features 15 stations. Facial waxing and mini spa services are offered, but no massages or nails. The Pavo in Laurelwood includes a full-service spa. The salon features a minimalist design that utilizes products that are brand new to the market, like state-of-the-art metal cabinetry. Graham Reese of Graham Reese Design Group handled the interior and said the design is very fashion forward. Robinson said the salon will have 11 employees to start with and plans to grow that number to roughly 20. Three new stylists were recruited from the Aveda Institute Nashville and two more came from other salons. The remaining employees are current Pavo workers. The Midtown Pavo will be open Tuesday through Friday from 8 a.m. to 8:30 p.m. and Monday and Saturday from 8 a.m. to 6 p.m. The property is owned by Charlie Ryan via Central Cooper Gateway Inc.